Drupal 6 has already been marked as unsupported as Drupal 8 has come along. With the advancements that Drupal 8 has brought along this is the right time to migrate to Drupal 8 and be updated about the latest security patches and open a new world of possibilities as Drupal 8 is out of the box headless. We at Faichi have extensive experience in migrating Drupal sites. With past experiences we have learnt that the process of migrating the Drupal sites has many repetitive steps and there is an opportunity to make the migration process faster. Our team has hence created a Migration Automation Script that automates numerous steps in the process of migrations, hence expediting the overall Drupal migration process. Drupal migration now has become less time and effort taking process for us. 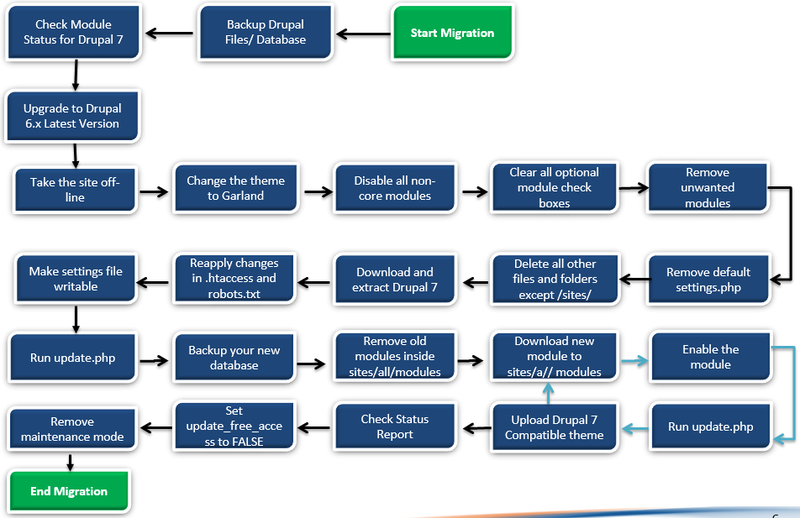 All the steps that need to be carried out in the migration process have been showcased below. With our Migration Automation Script we ensure that none of the steps are skipped hence automatically minimizing the possibility of error. Moreover, our Migration Automation Script also includes an upgrade script for upgrading the front end i.e. the look and feel of the site. Faichi’s Migration Automation Script uses all of the following migration tools available and also consists of various of its own scripts to carry out migration flawlessly and quickly. We can help you migrate to Drupal 7 or Drupal 8 with ease. Shed all your migration worries as we head to a perfectly smooth migration journey. If you have migration on your mind, let’s talk!